This no-bake cookie recipe for Cashew Cornflake Clusters will be your new favorite! With just butterscotch chips, cashews, peanut butter, and cornflakes, you’ll have irresistible cookies in no time! You may have seen butterscotch no-bake cookies with rice krispies, oatmeal, or Chinese noodles before. But we’re kicking these up a notch with cornflakes and cashews! The recipe is based off of the Butterscotch No-Bakes recipe in Sally’s Cookie Addiction (my favorite cookie cookbook!). I just added some salted, roasted cashews to the mix. Now a big container of cashews can be quite pricey, but you can just get the small amount you’ll need for this recipe (about 1/2 cup). Visit a store that has bulk bins of nuts and just scoop out as much as you need. Prep a cookie sheet with some parchment paper or a silicone baking mat. You won’t be baking the cookies, but you need to put them on a cookie sheet so you can stick them in your refrigerator for about 30 minutes to firm up. Come to think of it, you should probably check your fridge and move things around if necessary so a cookie sheet will fit in there. (Or if you’re making these during the winter, you can just put the cookie sheet outside or in the garage to cool). Get a large pot for the stove and pour in an entire bag (11 ounces) of butterscotch morsels. Add 3/4 cup creamy peanut butter and turn the stove on to medium heat. Stir the morsels and peanut butter until everything is completely melted and incorporated. Now remove the pot from the burner and add 4-5 cups of cornflakes. The amount of cornflakes you use is up to you, of course. Just depends on your preferred crunch-to-softness ratio. (Yes, that’s a scientific cooking measurement. No it’s not. I just made that up). Gently stir and fold the cornflakes into the peanut butter/butterscotch mixture. Add 1/2 cup roasted, salted cashews and fold them in until evenly distributed. Now get a medium or large cookie scoop and drop mounds of the cookie mixture onto your parchment or silicone mat-lined cookie sheet. You can put them as close together as you need, because they won’t spread. Lastly, just pop the cookie sheet with all the cookies into your refrigerator for about a half an hour so they can set up. (No need to cover them). These cookies will stay fresh in an airtight container for up to a week. But there’s no way they’ll last that long. You’ll be lucky if they last a whole day. Hands will be grabbing them from left and right! Are you a peanut butter lover? Then you need to try these Peanut Butter Crispy Bars and Peanut Butter Cream Sandwich Cookies! 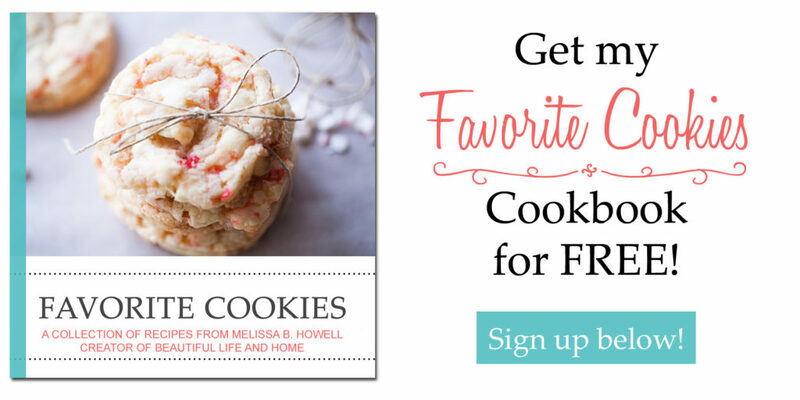 You can find their recipes, along with all my other cookie recipes in my Cookie Jar! This no-bake cookie recipe for Cashew Cornflake Clusters will be your new favorite! With just butterscotch chips, cashews, peanut butter, and cornflakes, you'll have irresistible cookies in no time! In a large pot on the stove, add the butterscotch morsels and creamy peanut butter. Stir constantly over medium heat until everything is melted and well incorporated. Remove from the stove and gently fold in the cornflakes and cashews. Using a medium or large cookie scoop, drop the cookies on your parchment or silicone mat-lined cookie sheet. You can place them as close as you need to get all of them to fit. Put the cookies into the refrigerator (or other cold place) for 30 minutes to firm up before eating. These sound amazing!!! I love a good no bake cookie!! These look delicious!!!! I can’t wait to try them!! What a great little treat!!! Those look like delightful little snacks!